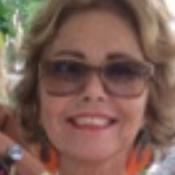 Ana Maria has a great passion to share the heart of Rio with her clients. We thoroughly enjoyed her full day tour taking us to places that normal tours would not go. TOUR GUIDE RESPONSE: I loved to guide your group ! You are awesome and happy prople!